MSA Interiors is an award-winning design firm known for delivering innovative design services nationally and abroad. Established in 2004 MSA has become a studio with both creative and technical abilities working as a team with our clients, developers, architects, and builders. MSA Interiors believes it is important to work in true partnership with our clients creating a rich mixture of ideas along with comprehensive experience. Our extensive portfolio illustrates the broad versatility of styles and wisdom of our design team. Areas of expertise are Multi-Family Housing…new build and renovation for both market rate and affordable housing, commercial/corporate design, resort/ hotels, senior living, as well as residential projects. In addition to design, we are a purchasing agent with strong relationships with regional, national and international manufacturers. 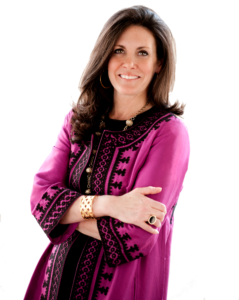 Interior Designer Marcy Sagel is founder and principal of MSA Interiors. She is both passionate and dedicated to design and likes to tell a story thru each project unique to its audience. Marcy has worked in both the US and abroad and has been featured in many publications. She works with many manufacturers to develop lines for tile, LVT flooring, custom furniture lines, fabrics and custom lighting. She sits on a number of Design Councils for both Plumbing and Flooring Manufacturers helping to select emerging trends in each industry. Art is an integral part of her design aesthetic and she has worked with many well-known artists and artist representatives for many of MSA’s projects. She is regularly engaged to speak about design and design trends emerging in Multifamily Housing and the Design Industry.